Anna-Lynne Williams finds comfort in the walls tumbling down. I think I can explain Anna-Lynne Williams through Beyoncé, or at least through the startling cover of “Halo” that finds its home on The Bluebird of Happiness. These post-Trespassers Williams records have freed Williams to render music in whatever shape she wants, and while they’ve mostly been confined to the folk music we’d expect of the truest basement dweller, it’s telling that she’s chosen to minimise herself with whatever tools she uses, as if to say that all that’s behind the dream-pop is the person who got lost in the sound and longed for a love. Beyoncé is a worthy contender because she’s there playing for Williams when she can’t look into her notebook; she's another one lost and looking, at least for “Halo”, and someone on the outside. Longing isn’t just a love nobody’s giving back – it can be a shared feeling emanating from our speakers. It would be easy to say Williams’ take on “Halo”, hardly a song for someone dug underground, is a departure from the Lotte Kestner project, even in its autonomous, free-write and take-all form. Maybe it would be easy to see the cover as another shock value Youtube crossover, like where someone does an acoustic Death Grips cover because that’s completely mental and counterfactual, but to hell with that – it’s not like Williams is playing “Starships”. This isn’t a departure because it doesn’t reinvent Williams, just what she’s listening to. Until now her covers have been of Interpol, Bon Iver, and the National, the kind of indie rock anxiety anthems that try to grab something once it’s gone. The desperation of her “Lief Erikson” cover, particularly, captures what Paul Banks’ lyrics share with many of her own – “You come here to me / We’ll collect these lonely parts” sees him on the grieving scale, though Turn on the Bright Lights ends before he can get to acceptance. 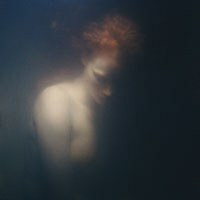 What Williams sees in this, I think, is herself; the incisive songwriter in her picked out “Lief Erikson” and “Skinny Love” because they got close to her, and because Lotte Kestner is a project that sides with the unrequited and dispirited. “Halo” might not have the stalwarts of indie rock behind it, but it comes from a strong, brilliant voice that can’t help make someone else their damning lot. It just fits. Williams is so good with covers because she can find the exact metaphors that fit her own, ones she can scale on her own if she so chooses. Beyoncé’s lyrics are sunbeams fighting against her darkest nights, Williams is the building and her lover is the ceiling. The Bluebird of Happiness is the kind of imagined – and yet resolutely direct – conversation a singer-songwriter can have with another person, even if the walls are a lonely stand-in. “The Wrestler”, a melancholic folk song covered over by a haze of tinny sound, begins with Williams’ giving the answer to a question we never hear asked, and turns the routine moment, the ‘you got a light?’ of all beginnings, into a list of reasons she’s been consumed. Finally: “wrestle you into every thought”. It won’t be news to anyone who’s heard Different Stars, but Williams offers rare insight in the domain of the personal pronoun; she can will her opposite number into existence with as much as a “you” and the words that surround it. Williams is always having a conversation. And weirdly, The Bluebird of Happiness might prove Williams to be the opposite of a placid songwriter, or a simple songwriter. She’s one built for dream-pop and delicate folk music, but more accustomed to a heavy crash, and as Lotte Kestner, her strumming is a great feint. On the record’s title track she plays guitar like a clock ticking slowly, but relentlessly; she repeats “bury me at sea” with the same morbid resignation. Does any other folk record disturb us as it aches? It took me a while to process The Bluebird of Happiness, but so it should. This is a record laid bare for us on the surface, but not sensationally so. It’s a record of slow-burners, but their lethargy is used to process the painful and regret what’s already in the past. “I said it before I meant it”, the devastating aphorism Williams sings on “Turn the Wolves”, might be one of the hardest lyrics to hear, let alone write, and it appears on a song fit for any number of indie folk records. This could have been Sam Beam’s, and so it almost neatly passes us by. The lyrics of Lotte Kestner transform and mutate, and what they do to a folk song is deadly. Williams is an intelligent enough songwriter not to put full force behind her lyrics or to push any aspect of The Bluebird of Happiness into a corner. At times, she seems more interested in the boundaries of definition, but even as she cuts up and disjoints her record with “Eggshell”, a dark synth experiment, she seems wary of that leap. So yes, I guess I wasn’t taken aback by her “Halo”, because it was another painful moment that wouldn’t overstep. Coming back to The Bluebird of Happiness is integral to its brilliance, revealing the conversations and the damage done, but Beyoncé is being sung downstairs like everything else. The song you heard at the Super Bowl mustn’t wake a soul, and like anything that fits into a Lotte Kestner record, Williams will whisper as these walls come tumbling down.